A luxurious sweater from Hackett's 'Mr. Classic' collection. Worn over a t-shirt, this sweatshirt makes for a trendy casual outfit. 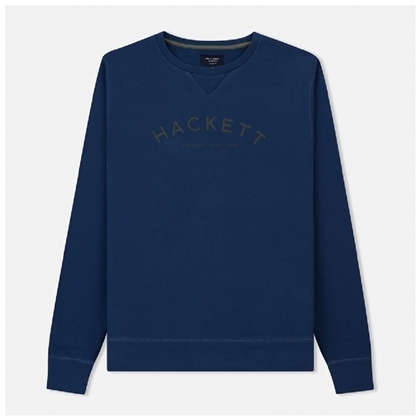 The ultra-soft interior and smooth-feel fabric makes this garment so comfortable to travel in and the neutral style and colour means this sweatshirt goes really well with almost all cotton trousers, jeans and lightweight jackets.